« Essay about riding in NYC’s bike infrastructure. After all–These go to 11. 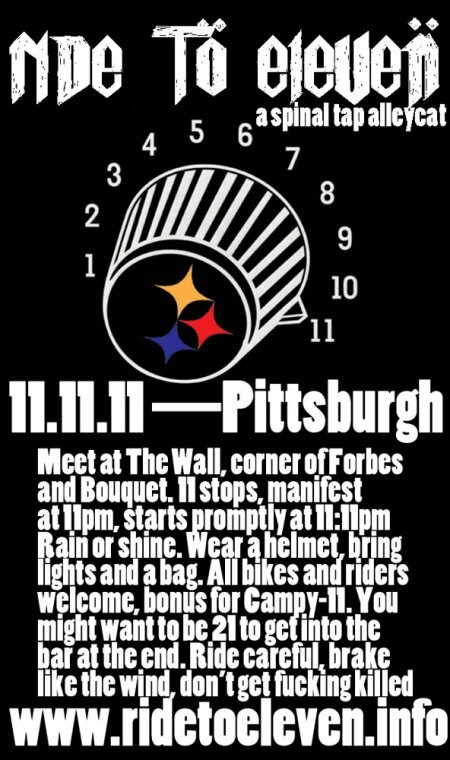 Getting into the theme of 11/11/11, the Ride to Eleven Alleycat in Pittsburgh.